This Korean beauty trend is now popular all around the globe. I have friends in New York, Nigeria and London asking me constantly on what sheet masks to try. I must tell you, I love sheet masking, it's easy, its fast and quickly to do and you see quick results. 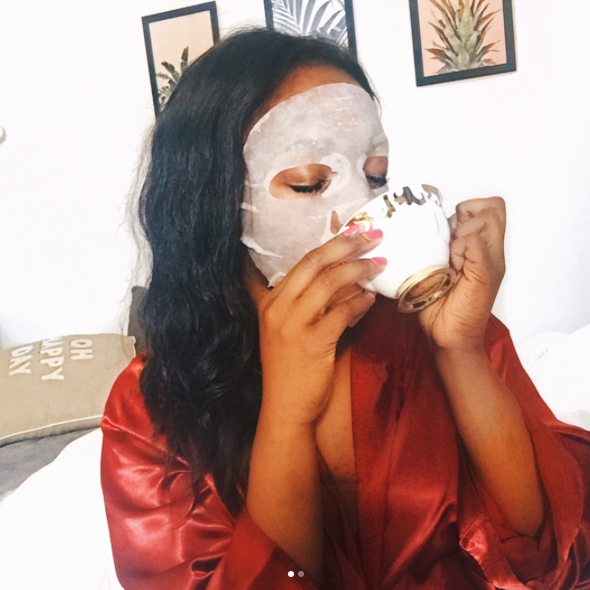 Sheet masks are basically papers soaked in serums that target skin issues like hydration, brightening, firming, and also pore minimizing. It takes about 30 min to really soak in to your skin, but in that 30 min you look funny with the mask on, to kids especially. I have tried multiple times to take hot pics with the mask on... always an epic fail *covers face and laughs" But once completed, your skin has a nice glow and texture, which is totally worth it. You know I love to Glow! To detoxing, I use green tea masks, black tea masks, & sea weed masks. The best time I use my sheet masks is in my daily night routine; Cleanse, 2nd Cleanse, Tone, Sheet Mask then night moisturizer. Sometimes I might put it over a treatment serum; so I apply 3 drops of my tea tree serum and then wait a few minutes for it to soak into my skin, and then put on my sheet mask. Double serum never hurt nobody! Step 1. Use one sheet mask per day for 7 days straight and watch your skin glow! Pick a mask that will feed your skin what it needs; i.e. if its looking dull use a vitamin c mask, if it's very dry, use a hyaluronic acid mask, and so on. Make sure you apply it on a clean face. Step 2. Post a sheet mask selfie on Instagram #SFDchallenge and tag three friends telling them to join you in the challenge. Step 3. Reveal your GLOW! Take before and after pictures each day to track your progress. To get started, I will be using sheet masks from TonyMoly, and will be choosing between the different types based on how my skin feels the day of. If you aren't sure where to order some here's a link to some of my favorite Tony Moly Sheet masks. 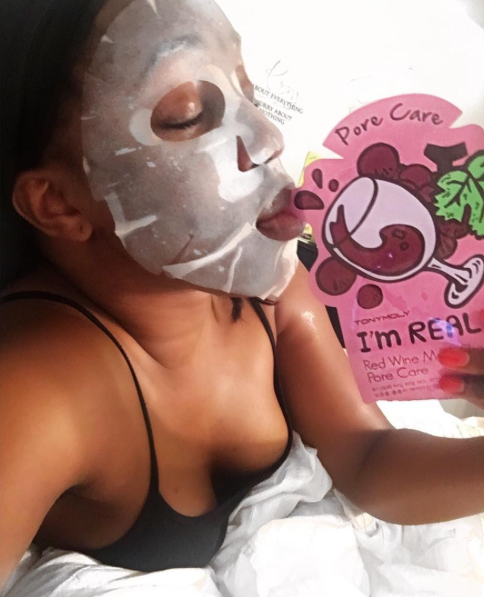 Whats your favorite Sheet Mask and the brand?